Claudia Linen Lace yarn, John B. 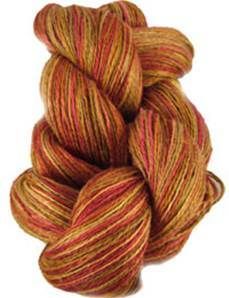 100% linen lace yarn hand painted by Claudia in a fresh blend of amber and red. 100g skein, approx 540 yds. Machine washable .